We can be found in the visitor’s centre. Our award-winning healthyliving café offers an opportunity to enjoy homemade dishes and snacks as well as a range of Café Carrera coffee, fruit and herbal teas and soft drinks. 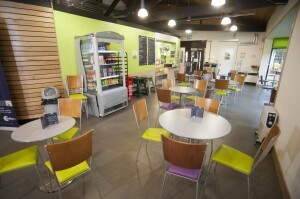 The café has disabled access, parking bays and toilets for people with disabilities.